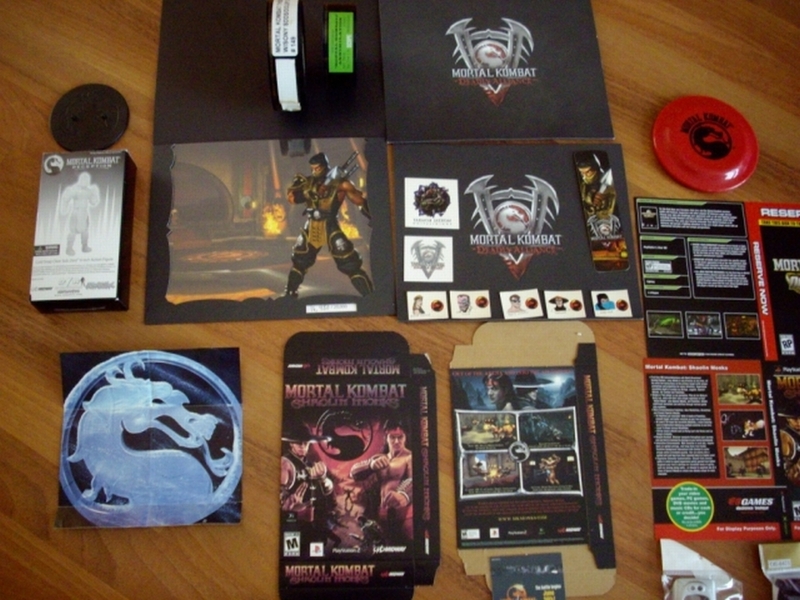 I first became interested in Mortal Kombat the very first day MK1 hit my local arcade. I think I stayed there pretty much the entire day! I was there every day for quite a while & just got hooked on it. I have followed it religiously since then. 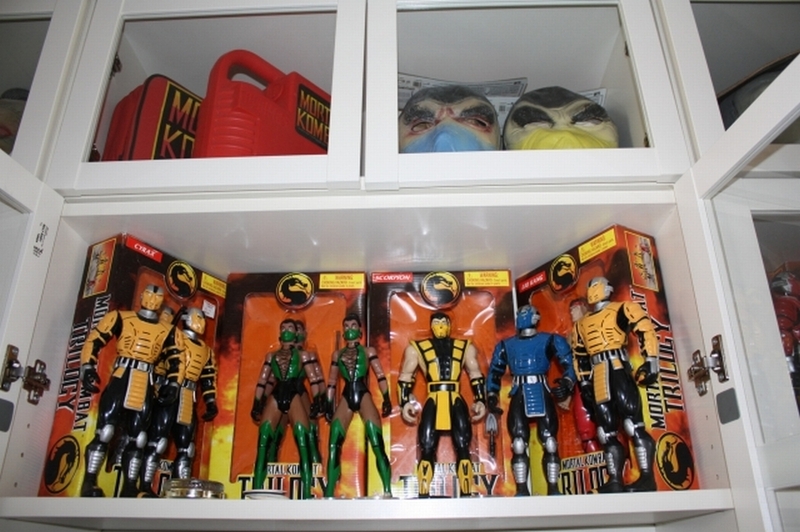 I used to collect some figures & comic/ video game collectible items but nothing ever as serious as I collected MK items. WOW…..I would have to say my framed MKDA embossed Signed (by Mr. Boon himself) & numbered Scorpion Print. There were only 150 made. MK 1 Press Photo signed by the actors & Ed Boon & John Tobias. My MK II wool/leather embroidered jacket. My MKDA Button shirt which I have NEVER seen anywhere! ( I got that from an editor for a video game mag) Those are my favs off the top of my head! 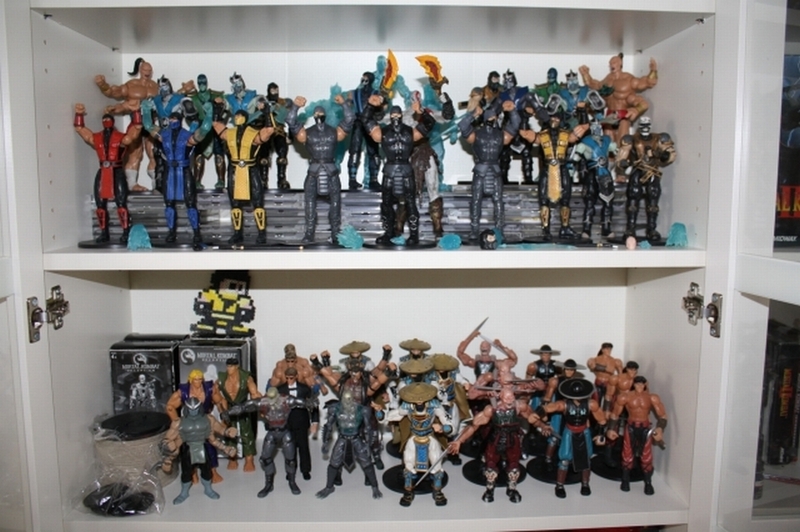 ALL the new MK Statues by Syco coming out! THEY are sooooooooo awesome! Finally MK characters done with respect! 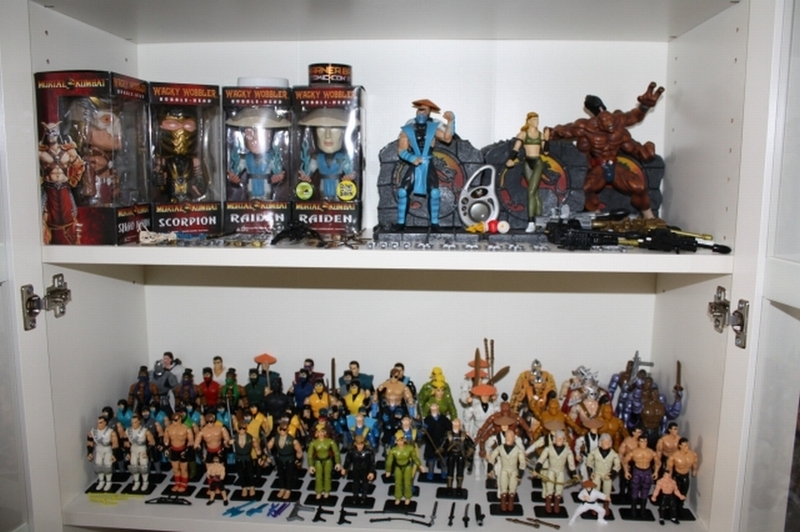 (Some of those older MK figures…..yuk) Although the Goro Resin model was done well too, but these take detail to a new level! Subby looks amazing! I WANT THEM!!!!!!!!!!!!!! 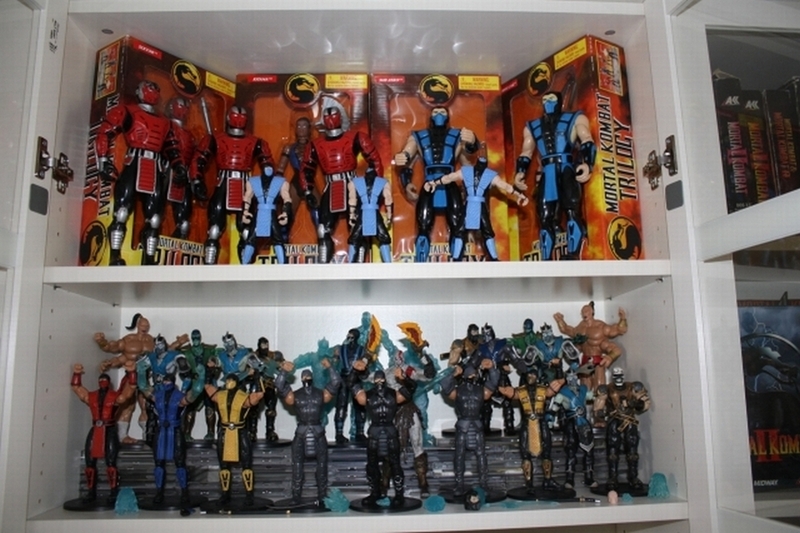 I used to love MK2 for the overall story, feel & multiple fatalities. I always loved the way MK3 & UMK3 played, for my style of playing anyway. But the new MK game has my vote. If you never played MK before…this is the one to play. I think it won a lot of new fans & brought back a lot of old fans who felt MK lost the 2D gameplay & gritty feel. This MK has it ALL covered & then some. It is also nice to see it recognized as a tournament fighter now too! Hmmmmm, thats tough! Well Shang Tsung would be nice so I could be whoever I wanted to. (Although it might be better to have a girl friend who can morph into anyone?) Shao Kahn because of Power! Rayden to be a God. Lui Kang because he has a pure soul. A ninja would be nice too? Aww heck, I dont know? I always wish they would do slow motion close ups! Instead of far away shot, zoom in on the part of the body being damaged & show explicit detail & multiple camera angles. Ex. Like tearing someones jaw off for instance & just seeing his face close up as it happens. Seeing the facial expressions and close up damage as it happens. Almost like the X-Ray moves captured but closer. Truthfully…….I’d just rather have her current bank account fund! He He he But she is quite a beautiful woman no doubt!